You may use your garage as a workspace, to store vehicles, or maybe even just for storage. Whether you’re building a new garage or sprucing up an older one, a well-appointed space will make your life easier and more enjoyable. Here are a few tips on how you can upgrade your garage space to be fun and functional for the entire family. If your home has a detached garage that isn’t being used, why not convert it into a space that serves a good purpose? Just because you don’t park your car in the garage, doesn’t mean that you can’t create a functional space that will enhance your personal needs and lifestyle. Although it doesn’t offer direct access to the house, it does offer numerous advantages for building specialized spaces. 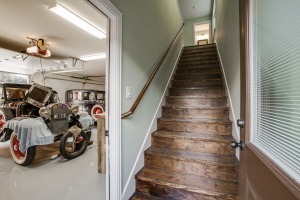 With some creative planning and a garage remodel, the design possibilities are endless. Instead of spending money at the gym, why not transform your detached garage into a great workout space? You can include various workout equipment and machines. You can also add in yoga mats, dance bars, and wall mirrors. Consider building storage cabinets to hold all of your workout essentials. For the ultimate workout routine, include a music system and large-screen TV. friends in a room decked out in comfort. 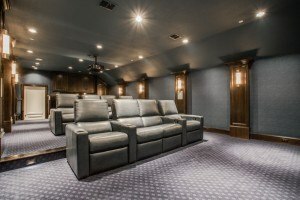 Add reclining seating, a large screen, and a sound system to make you feel like you’re sitting in a movie theater. Transforming your unused garage space into a media room frees up space in your home. It also gives you the freedom to crank up the volume without disturbing anyone. 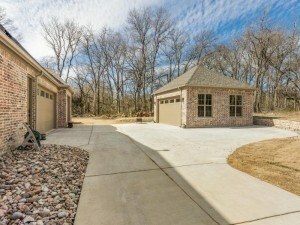 A detached garage provides a great space for a home office. 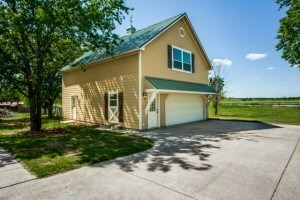 While it’s close to the house for convenience, it still offers privacy and a quiet setting. This decreases household distractions and noise, and increases efficiency and productivity. If you work from home on a regular basis, a detached garage is also a great way to reduce the added cost of renting office space. Turning your detached garage into a playroom for the kids is a great idea for busy, active families. Consider making your space a fun activity center with tables and chairs, games and puzzles. You can also add a relaxing TV area for movies and videos with comfortable ottomans or floor cushions. Your kids can hang out with their friends in their own space while staying close to the house for supervision. A detached garage makes a great bedroom space for overnight guests. By adding comfortable furnishings and accessories, you can create a private retreat with convenient access to the house, pool, spa, or other outdoor amenities. If your garage is large enough, consider adding a small bathroom that will provide complete privacy and convenience. Upgrade your garage by transforming it into the perfect garden center where you can organize garden tools and supplies, create a greenhouse environment, or divide the space so there’s room for both. Install heavy-duty wall hooks for hanging shovels, rakes, clippers, and other tools. Place a table in the corner for potting plants, and shelves along the walls for starting seedlings. You can even install grow lights and heat lamps for all of your plants. 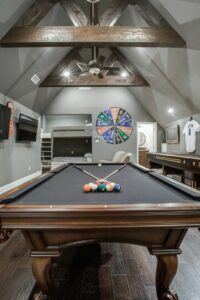 Turning your detached garage into a man cave will provide a private place for the man of the house. It’s a great way to entertain friends and watch all of those noisy sportscasts without disturbing the rest of the family. A comfortable sofa, chairs and large-screen TV will provide the perfect setting for those afternoon ball games and outdoor cookouts. Why not take your man cave to the next level and transform it into a bar shed! If you love to sketch or paint, a detached garage provides a private space with plenty of room to store canvases, paints, and easels. You can line the walls with your favorite drawings and paintings, and add shelving to hold all of your supplies. With concrete floors and convenient drop cloths, you can paint to your heart’s content without worrying about the mess. If you enjoy building things, a detached garage is a perfect place to create a workshop. You can build in shelving, storage cabinets, and pegboard walls with hooks for all of your tools and equipment. 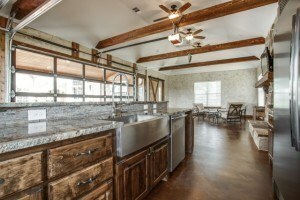 Add tables, workbenches, saw horses and your favorite power tools for your DIY projects. If you work with paints and stains, make sure you provide proper ventilation for the fumes. or even serve two purposes at once. Flex spaces can help accommodate your family over the years without requiring you to uproot your lives and move into a new house. 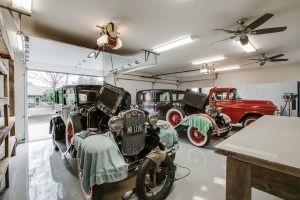 Turning your garage into a flex space provides a lot of room for all of your family’s needs. 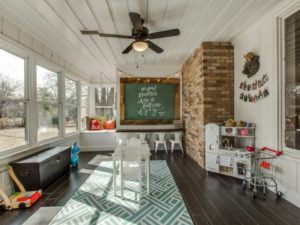 Consider upgrading your garage into a game room and media room, an office and guest bedroom, or a playroom that can easily transition into a study space as your kids get older. There are three good heating options for a detached garage – forced-air garage heaters, infrared garage heaters, and electric garage heaters. Portable electric heaters require very little maintenance and don’t burn fuel, so they provide safe heating with no possibility of carbon monoxide poisoning. The best cooling options for a detached garage are window units and commercial A/C floor units designed for warehouses and factories. Window units will be less expensive, but they need proper ventilation. If you don’t have a window in the garage, you’ll need to vent your unit through an exterior wall or the garage door. detached garage. Do you want a secure space to park your car every night or a custom space for certain activities? Both types of garages offer advantages and disadvantages. 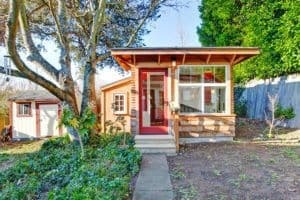 Depending on your property size, garage size, the intended use of the space, and your budget, you will need to determine which type of garage works best for your needs. 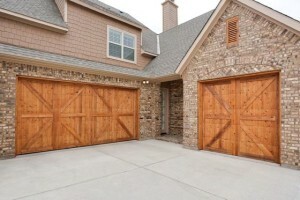 Attached Garage – An attached garage is equivalent to a large home addition. You’ll be adding a large space to your home’s structure, but your contractor will most likely be able to utilize pre-existing walls and electricity during the building process. This can save you money on construction costs. Detached Garage – A detached garage is equivalent to building a small house. This includes digging out and pouring a foundation and then building your new garage from the ground up. It’s a little bigger of a project, so you may incur more costs, but you’ll have more design options available to you once it’s complete. Remember, you’re starting from scratch. This means that things like plumbing, air conditioning and electricity also need to be added into the cost and timeline. example, a brick or stone structure will be more expensive than a wood structure. Windows, ventilation, heating and cooling, insulation, and regular maintenance will increase the overall building costs. They are, however, essential if you plan to spend time in the garage. For stability and long-term durability, garages should have a poured concrete base, which can also affect the total costs. Before you make a major structural change to your property, it’s important to consider the impact on your home’s visual appeal and resale value. Talk to a design-build firm about advantages and disadvantages, building costs, and design options that will enhance your home and your lifestyle. No matter your garage’s age or size, it’s almost a useless space if you can’t easily find the things you’re storing in it. You don’t have to completely re-design your garage to make it useful. Use every inch of available space wisely, including rafters and floor-to-wall space. If you’re cleaning out an old garage, take every item and set it outside to sort through. Donate items in good condition that you don’t use or need. Make another pile of things that need to be thrown away, and only keep items that you will truly use. No matter your budget, you may find a combination of these storage solutions useful. Save your time and sanity – the key to a well-appointed garage is having a spot for all of your belongings. Regardless of what you want to use your garage space for, dividing it into work zones helps you envision its potential while giving each item a place to belong. It also helps make clean-up easier, too! Take everything outside, and sort your items into different piles. Then figure out what zones are best for your situation and needs. If you’re using your space as a workshop and need light for more detailed projects, halogen bulbs work nicely. If you don’t want the heat that halogens give off, xenon bulbs are a great alternative. Halogen and xenon bulbs last longer than conventional incandescent bulbs and are a bit more efficient. Fluorescent lights also work well for more detailed projects because they don’t give off much heat. floor using a latex acrylic concrete paint. Keep touching up areas by scraping peeling paint, cleaning, and then reapplying paint annually. Premium epoxy systems may not be as easy to apply to concrete floors as paints, but they last longer and give you floor a durable, scratch-resistant surface. Specialty mats are simple and can be laid easily on the floor. They can cover the cracks in old floors or help protect new floors from wear and tear. Laying down interlocking floor tiles can be a great option that adds comfort to your space. This is especially true if you have a workbench or workout equipment that you’ll be standing by on a regular basis. Your garage space doesn’t have to be an unusable mess. With these organization and design ideas, you can transform your garage, new or old, attached or detached, into a functional space that you can enjoy using every day. Are you ready to upgrade your garage? Tell us about your project and get a free estimate!